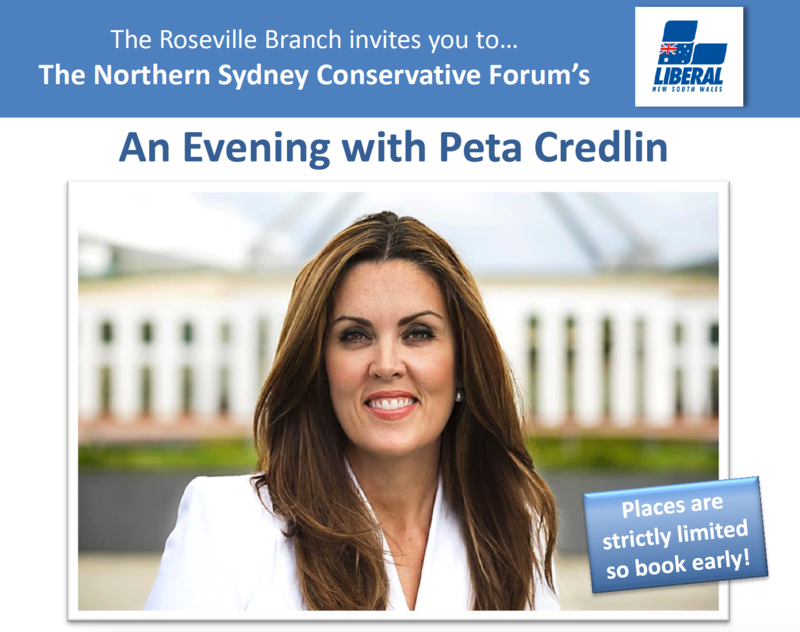 The Roseville Branch of the Liberal Party are pleased to invite you to our next function with special guest Peta Credlin! Thursday, 1st June – 7:30pm – AN EVENT NOT TO BE MISSED! Please note this function is now sold out and no longer accepting any bookings.